Road works and fuel strikes! Posted by Andrew Whyman under Life, Rants, on 27 March 2012 @ 10:06pm. 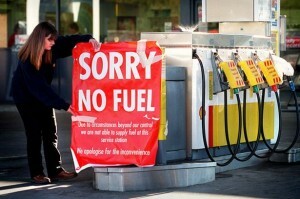 You probably saw the news today, fuel tanker drivers are going on strike again! Yay! Not… You see the problem with this is it disrupts the entire country when it happens. So you might be thinking why they’re striking anyway? To get back at the government for the stupid fuel prices? Oh no it’s because they want more money for themselves! They already earn an average of £45,000 a year, what bloody more do they want?! I know lots of people who would happily do their job for half that wage and not complain. If they don’t want their job they should give it to someone else, plain and simple, otherwise shut up and get on with it! If this strike was over the newly proposed and accepted 3p increase in fuel cost coming in August this year, I’d be all for it. The government simply won’t learn. The UK fuel cost is over 150% tax on the price of the fuel itself. That’s how greedy our government is. They just tax things they know the UK economy just can’t be without. No fuel, nobody drives to work, so people MUST buy it no matter the price. Panic buyers have been out everywhere today filling their tanks. I was no different, I need my car for work too so I filled it up to the top at a ridiculous cost of £88, and it wasn’t even empty! That £88 should last me about 600 miles at worst. I do 150mi/week to/from work plus a bit of leisure so we’re looking at 3 weeks tops I can last from that tank. Not a lot really but hopefully after 3 weeks the strike should be over and everything back to normal. The army is apparently going to step in and take over these lazy arse selfish self centred drivers jobs at a fraction of the pay so the disruption should be minimal. Anyway, what can we do? Besides threatening to bomb the petrol stations or something stupid to get their attention, they’ll never listen. Tens of thousands of people take to the petitions etc. every time this happens and they get nowhere when they get to the people that can make a difference. They just slap another few pence on instead!!! So yeah, we’re going to have to learn to live with it unfortunately. Our government are a bunch of idiots (and that’s the polite name for them). The sooner we get rid of them the better. We need Clarkson on our side, he’ll sort the bunch of idiots out!!! Right, my 2nd rant is about road works and how much they annoy the f**k out of me! I’m not talking about all road works, some I agree are required to keep the maintenance of the road, but the ones that annoy me the most are the ones where nobody appears to be working on it… EVER! Take this example. Yesterday evening around the junction I come off at for work on the motorway, they’d laid cones out for some work they would be starting that day. Fair enough, but why was there ZERO notice that any work would be carried out? It didn’t affect traffic much that day thankfully but the issue still stood. The next day (this morning) we were met by a 2 1/2 mile tail back from that junction because of these road works. All it was is a closed off lane, but nobody was doing anything on it! The actual work in fact was on an adjacent junction and they just wanted to “clear the traffic” for work they were doing. I’m sorry but the work that was being done was 400 yards further down that adjacent junction and it was on the pavement!!! What sort of crazy people think it’s acceptable to block off a full lane of a motorway slip road for that work?! They did the same on the roundabout by the way, one of the three lanes was blocked off. Rant over. I needed to get those ones off my chest as I can’t stand either of them! Posted by Andrew Whyman under Life, Rants, on 27 March 2012 @ 9:49pm. OK so I didn’t have the best of luck with my new car and just 5 days after getting it I broke down (this was last Thursday by the way, it’s Tuesday now). In some ways it was good that it broke now and not further in the future. Let me describe what happened. I was travelling to work as I do every weekday morning and everything was as normal. But as I was a mile or so from my junction off the motorway the car suddenly lost all power, it made a bong sound from it’s instrument panel and “engine fault” appeared on the display. That was it, car dead. I had just a few seconds to move from the outside lane to the hard shoulder before I lost too much speed (I was going up a slight incline too). After pulling over I shut everything off and after a minute or so I tried to start it again hoping it would have reset the ECU. It didn’t, and it just cranked and cranked until I pulled the key. Great! First time in 4 1/2 years of driving that I’ve broken down. 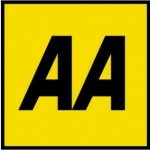 Thankfully I had AA cover, so a quick call and 25 minutes later they were there to rescue me. I got them to take me to the garage I bought the car from (phoning ahead so they knew) and get them to sort it under the warranty. This got me thinking it might be the fuel injectors as it was on recall and was one of the things that can cause the engine to point blank refuse to start. I got the garage to diagnose it and they said it was an injector. They recommended I get in touch with VW, which I did, as the injectors would all be done under their recall warranty scheme. £3000 of work for free! I’m certainly not complaining. However the only down side was it would be 4 days before they could fit me in. I hate being without a car, it’s like a lifeline to me. It gets me everywhere from work and home, to friends houses, etc. 4 days would be a long time! Anyway it passed and today I got the car back with brand new injectors and she runs really smoothly again. Now the rant. Why can the car not run without a single injector having failed? Well I know it’s a safety feature to protect the engine and/or catalytic converter from damage from excess fuel being shoved into it etc, but at the end of the day I’m the driver! I should be the one to make that decision! The worst part is that it fails in the blink of an eye, no warning. You could be anywhere, I just happened to be moving at a speed that allowed me time to pull over safely. So yeah, safety systems might be saving the engine but they could put you in one hell of a situation if it fails in the middle of a street! End of rant on that one anyway… Lets see if my luck changes and I don’t have any serious problems from now on! Posted by Andrew Whyman under Life, on 17 March 2012 @ 9:20pm. It’s about time I got a new car, and since I finally had enough money to get one I went out hunting last weekend. I knew that I wanted a VW Passat for some time. 2 of my friends have got them and they’re highly reliable. Nobody else I know who has or has had one had much of a problem with them. I visited a few garages and saw a couple of them but this one caught mine and my friends eye. Upon closer inspection it’s pristine in pretty much every way, both inside and out. One of my friends told me I’d be stupid not to go for it. 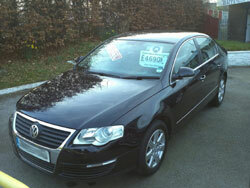 For the price of £4690, ~92,000mi on the clock and made in 2005 it was a great deal. A little older than I wanted but despite that still pretty good. We had checked the usual stuff out and it was all good. It had a full service history indicating a new cambelt 5k ago and services throughout it’s life by VW. You couldn’t get any better than that. I did a test drive (I mean who wouldn’t?) and I loved it as soon as it left the forecourt. We drove on a variety of roads and by god does it shift! So much better than the Peugeot 306! The 2.0L TDi engine produces around 140bhp and 250+ lb/ft of torque (much better than the 92bhp/155 lb/ft from the 306) and it shows too. When we got back after the drive we headed to the pub next door and mulled over the cost and various other factors. After some persuasion by my friends I decided to put down a deposit on it. We sorted out the finance that I would need (1/2 of the price) and off I trotted eagerly awaiting the results from the finance company. Two days later (Monday) I heard back that I had got the finance (Woohoo!) and I could drive it away the following Saturday (today). A few removals from the Peugeot (bits and bobs from the boot, the tracker and the radio), and it was ready to part exchange. They offered me £350 for it which was a great deal considering I paid £500 for it 3 1/2 years ago! I couldn’t say no. So today I picked it up and paid the remaining money on top of the deposit to pay for half the costs. Within 20 minutes I drove away a happy person! We immediately went to the first garage and I filled up £50. Guess how much the needle showed after that… Can’t guess? Half a tank! HALF! Bloody expensive to fill that’s for sure. A day of random driving enjoying my new purchase shows an average of 44mpg or so which is mostly down driving. On the motorway I would expect I’d get a fair bit more, closer to 50 or higher. Now this car is modern, which means a lot of things are electronic from the throttle to the very dodgy parking brake. I should point out by the way the parking brake has already failed once! It wouldn’t disengage after I wanted to drive away and told me to consult the manual. I did, and found nothing. I decided to play the old “turn it off and on again” tactic. What can I say except it worked. It retried itself and it disengaged. It’s been fine since, but I expect this won’t be the last time it will happen. We live and learn I suppose. The other thing is the air con not working, but I suspect this is a simple fault that can be rectified (low gas, blown fuse, etc). I will contact the car centre as soon as I can to report the problem. Everything else is pretty flawless. So do I like it? I love it! The power is a nice change, and the low end torque is immense but it does hesitate a little on the low RPM’s. That’s to be expected because of the hybrid turbo. It does judder a bit but I’ve been told at low RPM this is to be expected, however despite that I’m going to research it just to be sure since it doesn’t sound normal. Anyway, I’ve posted some pictures on my gallery and I will add more as and when I get them. I’ve spent most of the day driving around so I never got chance to take pictures!